Making the most out of July’s #BeLegendary Pokémon. The most recent special Legendary Pokémon available to join your team are Tornadus and Thundurus, two mysterious Pokémon originally discovered in the Unova region. Each are quite powerful in both their Incarnate Formes and their Therian Formes, making them two of the most flexible and exciting Pokémon around. Details about how to add them to your team are available at Pokemon.com/Legendary. Unlike most other Legendary Pokémon made available this year, you’ll be able to use these Pokémon in facilities like the Battle Tree and against other players at the Battle Spot. They’ll be effective in battle from the moment they join your team, but you’ll have to train them wisely to push them to their full potential. Read on for some tips about how to make the most of Tornadus and Thundurus. Tornadus and Thundurus will join your team in their Incarnate Formes. Both Pokémon are best suited to strategies that take advantage of their Prankster Ability in this form, which increases the priority of moves that don’t deal damage. You can enable different strategies by helping your new Pokémon change into its Therian Forme instead. Changing Tornadus’ and Thundurus’ Formes requires the Reveal Glass Key Item. Don’t worry, it’s much easier to get than the Zygarde Cube we advised you to track down last month—all you need to do is speak to Professor Burnet in the Dimensional Research Lab on Akala Island after clearing Olivia’s grand trial. Tornadus gains the HP-restoring Regenerator Ability, and it trades some of its offensive power for speed and resilience. Thundurus’s Therian Forme swaps out the Prankster Ability for Volt Absorb, and it loses a bit of Speed and Attack in exchange for a colossal Special Attack stat. 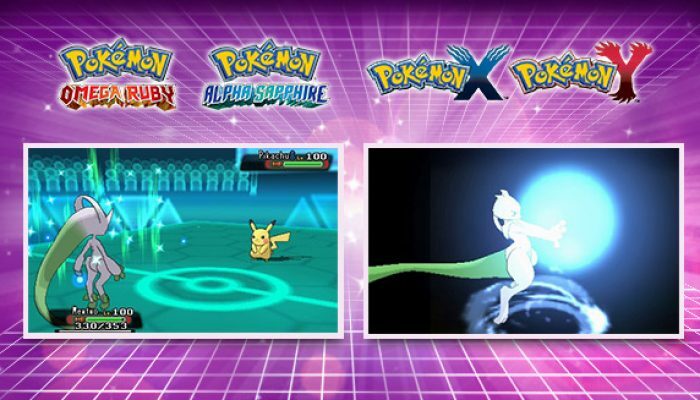 The Pokémon you receive will be different depending on which game you’re playing. 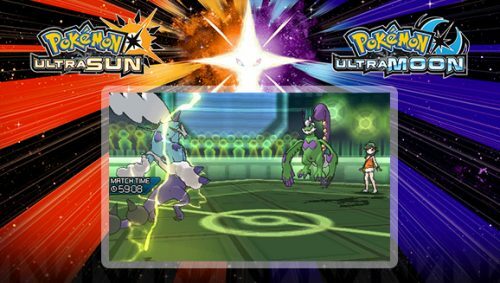 Pokémon Ultra Sun and Pokémon Sun will receive Thundurus, while Pokémon Ultra Moon and Pokémon Moon will receive Tornadus instead. (Remember, you’ll get only one of these Pokémon via distribution, but you can catch the other in the Ultra Wormhole when playing Pokémon Ultra Sun or Pokémon Ultra Moon.) The Pokémon you receive will be higher level and know stronger moves with Pokémon Ultra Sun and Pokémon Ultra Moon, and they’ll also be holding a super-rare Gold Bottle Cap. The Pokémon you receive with Pokémon Ultra Sun and Pokémon Ultra Moon will be level 100—perfect for Hyper Training. If you visit Mr. Hyper at the Hau’oli City Shopping Mall and present him with a Gold Bottle Cap, you can instantly max out your Legendary Pokémon’s individual strengths. That quickly gets one big element of preparing for battle out of the way. Even though your Pokémon won’t need any more Exp. Points, you should still take it into battle to train its base stats. 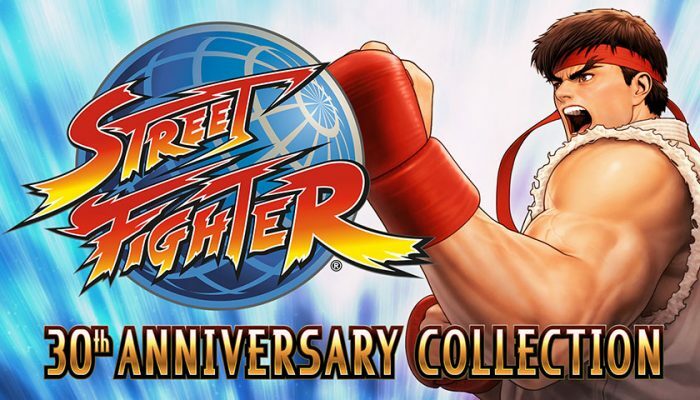 You should also pay attention to its Nature, which has a big impact on how it performs in combat. Trainers most commonly look for a Thundurus with the Speed-increasing Timid Nature, regardless of which form and battling format you plan to deploy it in. Many Trainers look for a Timid Nature for Tornadus, too, but the Special Attack-increasing Modest Nature is almost equally popular, and a Hasty or Naïve Nature best fits strategies that include physical attacks because these Natures don’t reduce Tornadus’ Attack. Trainers typically focus on training both Pokemon’s Special Attack and Speed, but you’ll need to get creative if you mix in physical attacks. Check out our guide to raising battle-ready Pokémon for details about training. Don’t forget you can help these high-level Pokémon relearn moves they’d normally learn by leveling up if you bring a Heart Scale to Madam Memorial in the Pokémon Center on Mount Lanakila. You can collect Heart Scales easily by visiting the restaurants across Alola. Tornadus was a key player in many of the fiercest Double Battles in its native Unova region, but it’s lost some luster in Alola. It redeems itself by sharing Thundurus’ aptitude for Single Battles, with its own Therian Forme serving a unique role on many teams. The Regenerator Ability it gains in its Therian Forme restores 1/3 of its HP each time it leaves battle. In Single Battles, Regenerator combines fantastically with the supportive Defog move, which removes field effects like Stealth Rock and Toxic Spikes. It can also learn Knock Off to remove its opponents’ items and U-turn to quickly pivot to a teammate with an advantageous matchup while triggering Regenerator. Its powerful Hurricane even lets it threaten serious damage, particularly when enhanced by Flyinium Z, making it one of the most well-rounded Pokémon. Tornadus struggles a little more in its Incarnate Forme. You have little choice but to build its strategies around the powerful—and inaccurate—Hurricane in both Single and Double Battles. You can get one accurate blast with the help of Flyinium Z, but you may want to teach Tornadus Rain Dance to temporarily make its Hurricane perfectly accurate. Rain Dance does, however, weaken the Pokémon’s only other popular Special Attack, Heat Wave. So consider pairing it with the physical attack Superpower, which also helps cover the Rock-type and Steel-type Pokémon that resist Hurricane. Tornadus’ Therian Forme doesn’t pack quite the same oomph in Double Battles as it does in Single battles, where Defog and Regenerator lose much of their appeal. Trainers most frequently opt for similar strategies as with Incarnate Forme Tornadus, so you can train Tornadus similarly for use in either form and pick which suits your current team best. Thundurus was one of the most feared Pokémon in Double Battles as recently as the 2015 World Championships, where it controlled the flow of battles with its Prankster Ability. Like Tornadus, it’s fallen on tougher times since the release of Pokémon Sun and Pokémon Moon—Thunder Wave now has only 90 accuracy, Dark-type Pokémon are no longer affected by moves enhanced by Prankster, and Tapu Fini’s Misty Surge shuts down status ailments. Trainers have thus been tasked with finding new ways to draw out Thundurus’ strengths. The Bolt Strike Pokémon most recently found tournament success in its Therian Forme at the hands of World Championships veteran Lee Provost. It held a Choice Scarf to enhance its Speed, allowing it to outpace most foes and launch a powerful Thunderbolt, Hidden Power, or Sludge Bomb. Lee’s strategy also enabled Thundurus to use Sky Drop to temporarily remove a foe from battle. If you’d prefer to bring Thundurus’ Incarnate Forme to your next Double Battle instead, consider deploying it alongside a Swampert holding Swampertite or a Pokémon with the Swift Swim Ability, and teaching it Rain Dance. While Thundurus has regressed a little in Double Battles, Therian Forme Thundurus remains one of the strongest Pokémon available in Single Battles. Most Trainers opt to teach it Agility or Nasty Plot to increase its stats. A quick stat boost is all it needs to wreak havoc on most teams with Thunderbolt, Focus Blast, and Hidden Power. You can increase its formidable damage further by giving it a Z-Crystal or Life Orb to hold. Incarnate Forme Thundurus are often taught supportive moves in Single Battles instead. Consider which of Taunt, Thunder Wave, and Toxic might fit your team best, and try teaching Thundurus Volt Switch to help keep an advantageous matchup on the field. Some Trainers opt for more aggressive strategies that highlight Thundurus’ high natural Speed by teaching it Nasty Plot and giving it a Life Orb instead, making for a quicker though weaker version of its Therian Forme strategy. We hope these powerful Pokémon help you blow out your foes in battle. 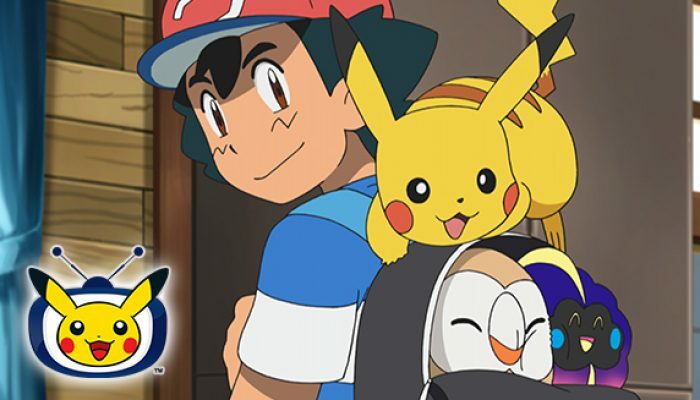 You can find more information about upcoming distributions at Pokemon.com/Legendary, and you can check out the list of all ongoing Pokémon distributions to make sure you’re caught up. Don’t forget to check out more Pokémon TCG and video game articles, strategy, and tournament analysis at Pokemon.com/Strategy.